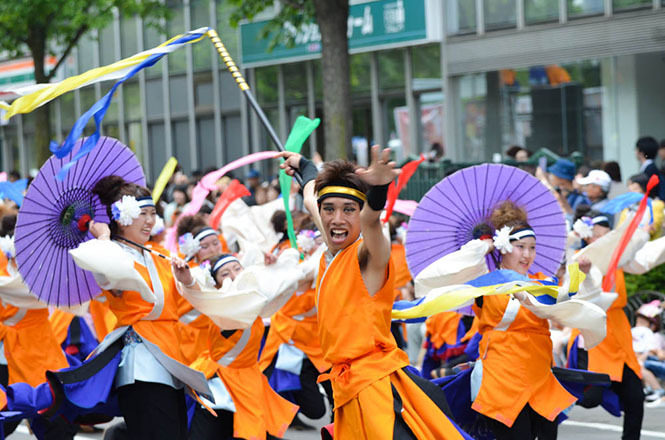 Yosakoi Soran Festival (YOSAKOIソーラン祭り) in Sapporo is a dance event mixed "Yosakoi Festival (よさこい祭)" in Kochi with a song of the herring fishing "Soran Bushi (ソーラン節 * Folk Tune Interjected as the Refrain of Soran)" familiar to Hokkaido people. 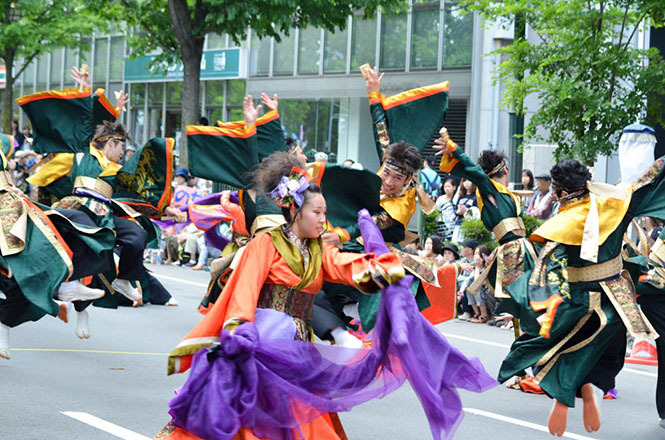 Mr. Gaku Hasegawa (長谷川岳) was moved by the vibtrant Yosakoi Festival in the Kochi, and planned and designed the same dance event in the Hokkaido. 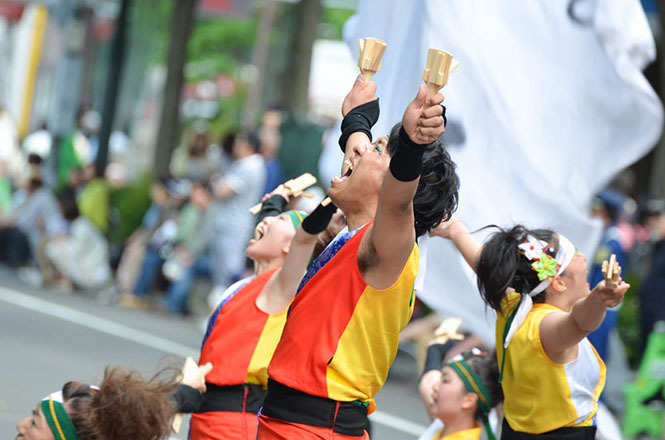 The event was held for the first time in 1992, and audience was about 20,000. 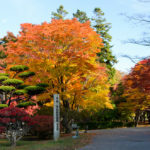 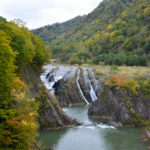 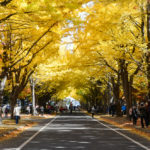 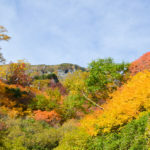 But it becomes a big event that about 2 million tourists visit the Sapporo at present. 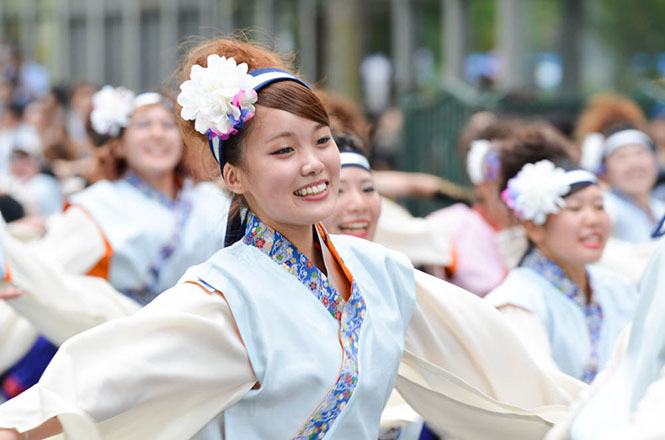 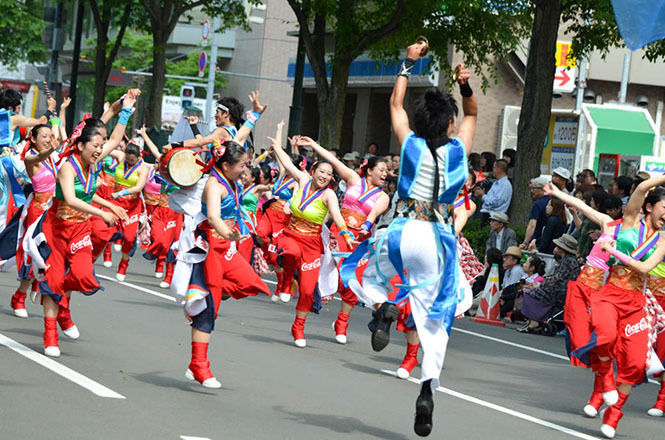 Open period is early June, and about 300 dance teams dance to win Yosakoi Soran Champion (YOSAKOIソーラン大賞) during 5 days in about 20 venues including Odori Park (大通公園), a main venue, in the Sapporo. 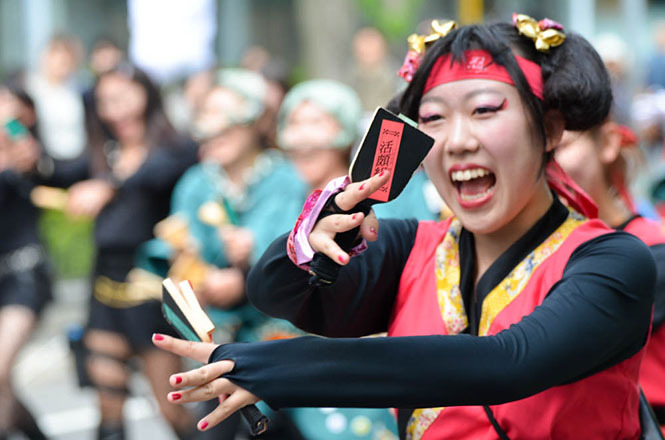 The Yosakoi Festival that is an origin of the Yosakoi Soran Festival is a dance event held in the Kochi in 1954 to compete against Awa Dance Festival (阿波おどり), one of the 3 major bon dance in Japan, in Tokushima. 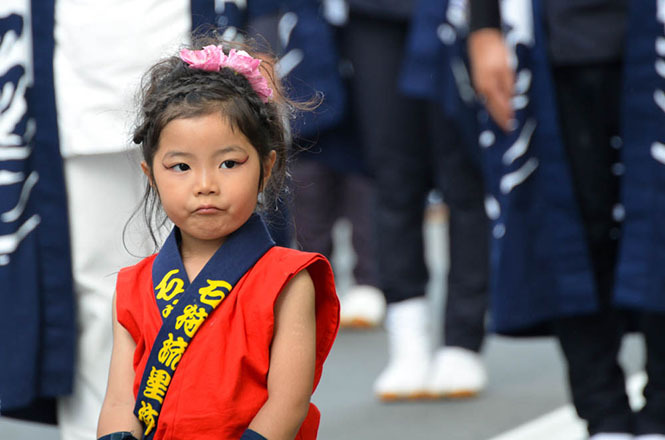 The Yosakoi means "Come here in the evening" in old Japanese, and uses Yosakoi-bushi (よさこい節), an old folk songa in the Kochi, as a motif. 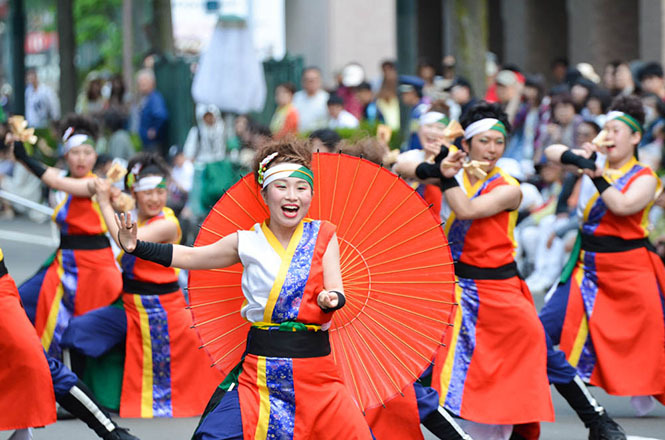 Seicho Yosakoi Naruko Odori (正調よさこい鳴子踊り) designed by 5 major traditional Japanese dance school in the Kochi was unveiled as well as the Awa Dance Festival with the traditional Japanese dance. 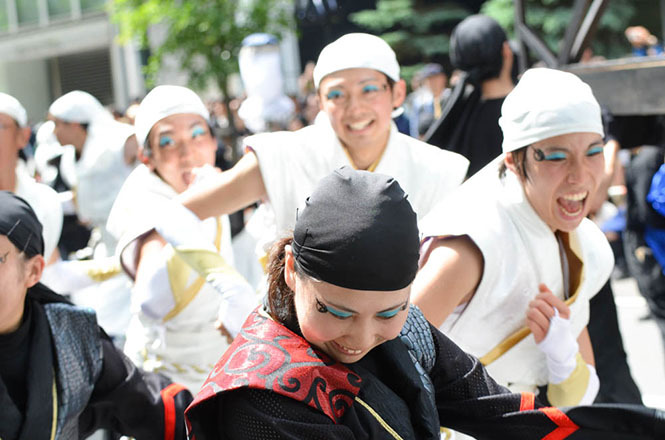 The Awa Dance Festival has about 400-years history. 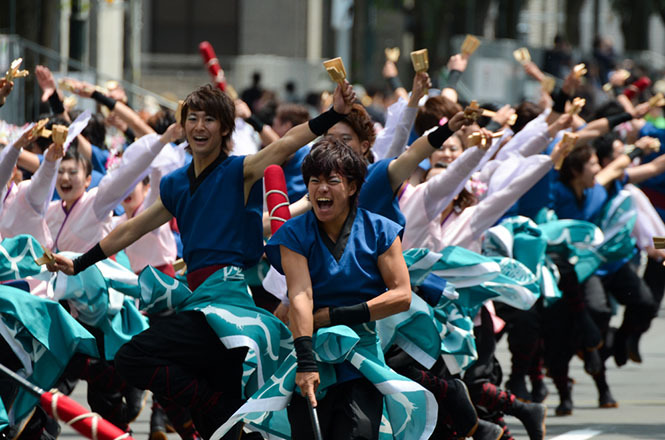 When I watched the movie below, I felt the dance was very vibtrant. 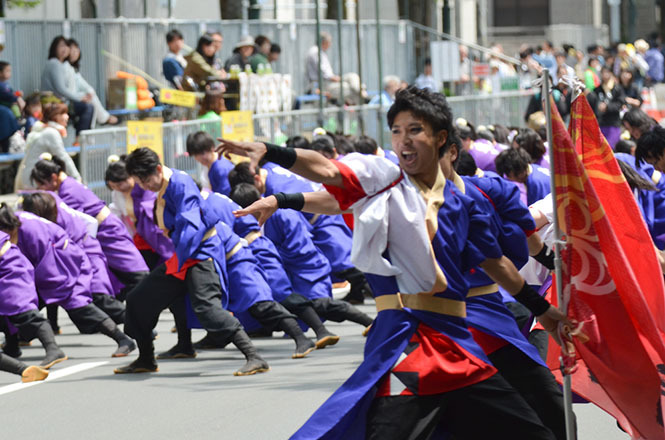 Mr. Eisaku Takemasa (武政英策), a famous composer, made lyrics and music of the Yosakoi Naruko Odori used in the Yosakoi Festival on the basis of the Yosakoi-bushi. 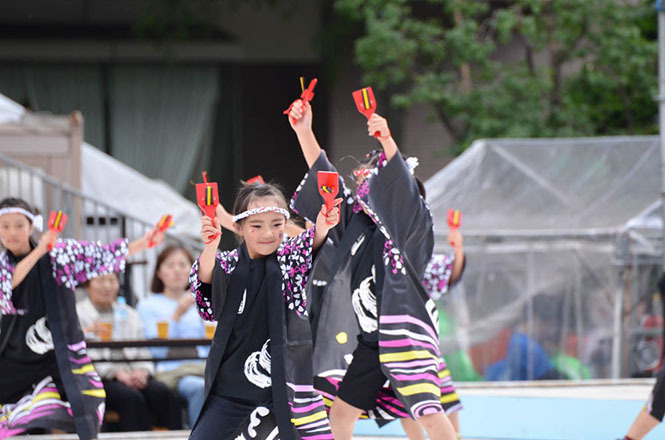 He allowed everybody to arramge the Yosakoi Naruko Odori freely, and suggested dancers have a dance by using a clapper, and those are the origin of the Yosakoi Festival at present. 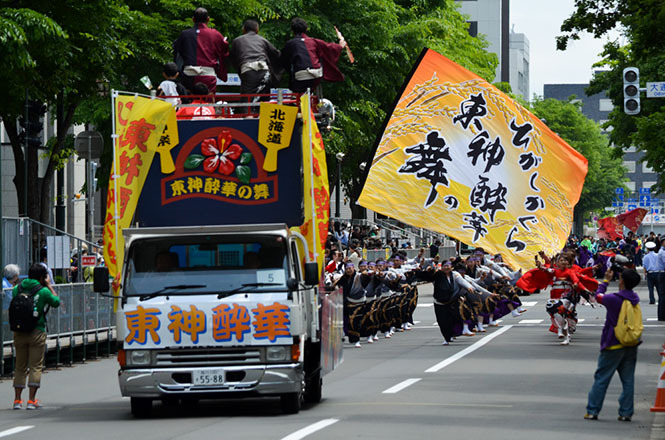 Because the Yosakoi Soran Festival inherited the Yosakoi Festival was a success, various original Yosakoi Festivals are held all over Japan. 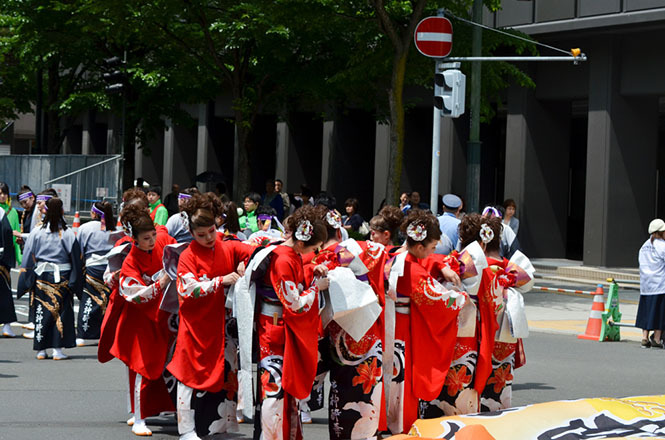 In addition, localized Yosakoi Festival is held in Ghana, Africa. 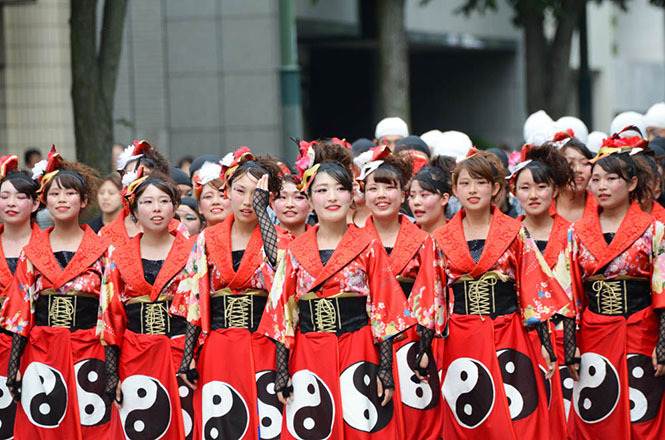 It is possible that the Yosakoi Festival having high degree of freedom spreads throughout the world. 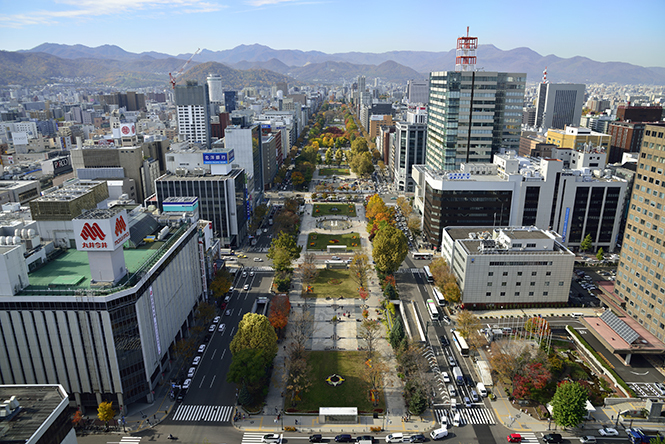 Odori Park Venue is the largest venue in about 20 venues in the Sapporo. 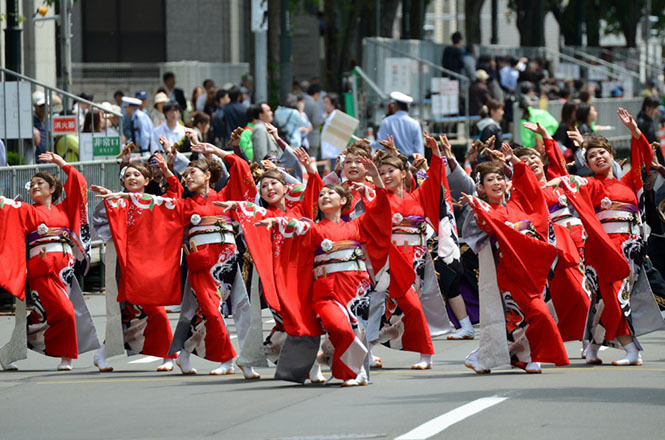 Roads from east to west along the Odori park are closed, and the dance teams dance and parade on the roads. 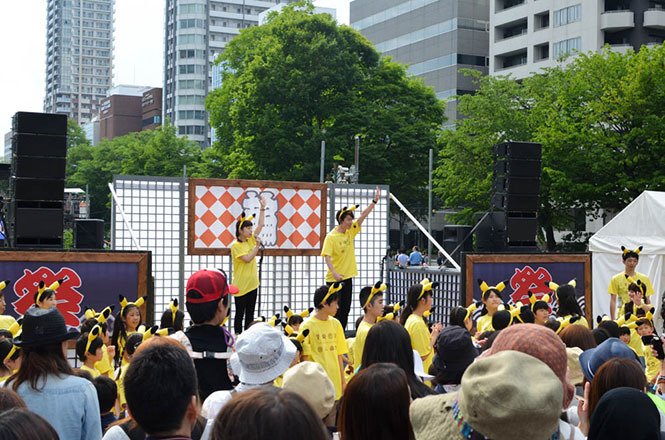 A main stage is built at West 8-chome, and the dance teams dance on the stage, and the final is held here. 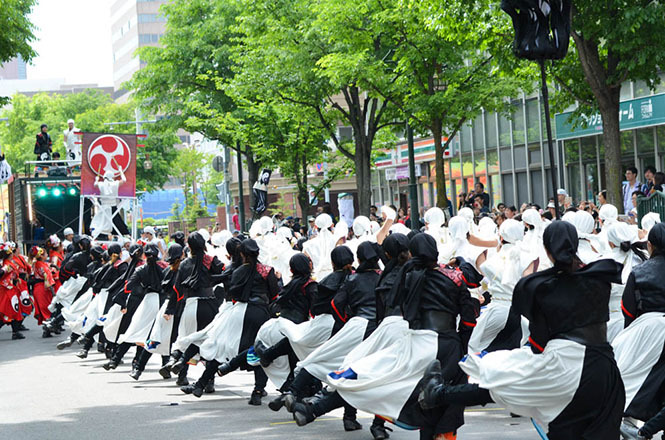 The audiences usually enjoy a dance only from the side because a lot of dance teams dance along the roads. 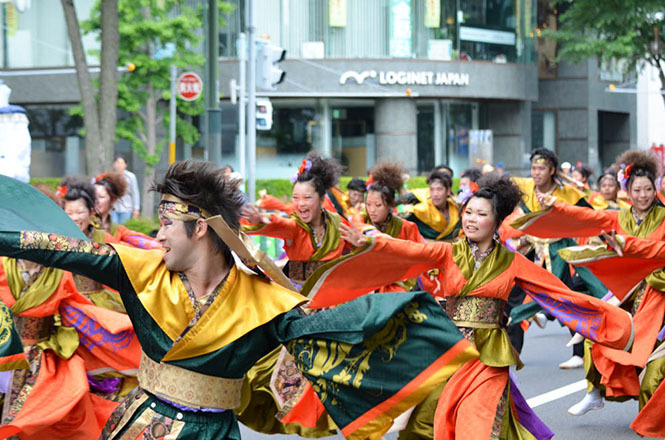 But the audiences can enjoy the dance from the front at the West 8-chome. 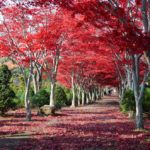 Admission free. 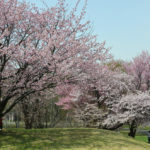 There are charged seats, too. 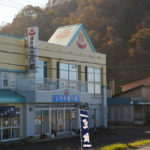 There are public restrooms, but there is no free parking lot. 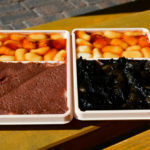 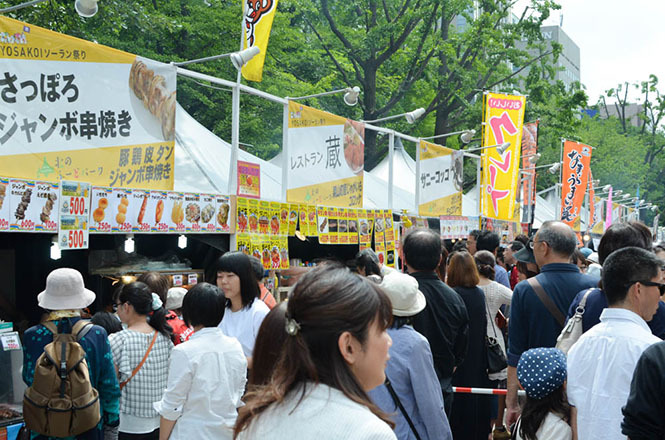 In addition, North Food Park (北のフードパーク) is built, and visitors can savor tasty foods of the Hokkaido. 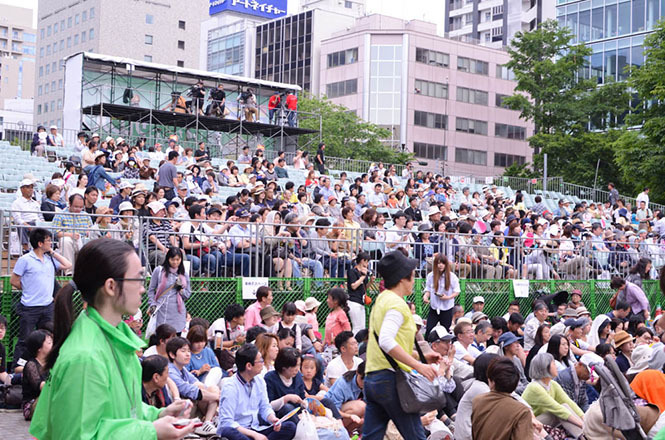 It is crowded with a lot of the visitors. 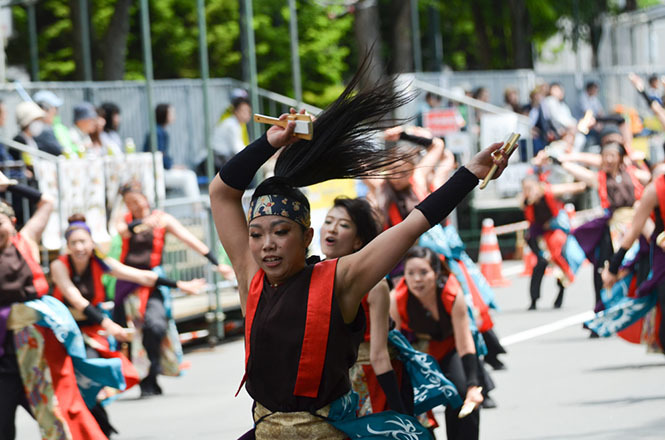 The features of the Yosakoi Festival is that dancers with elaborating dance clothing and makeup have original designed dances to music by using the clapper. 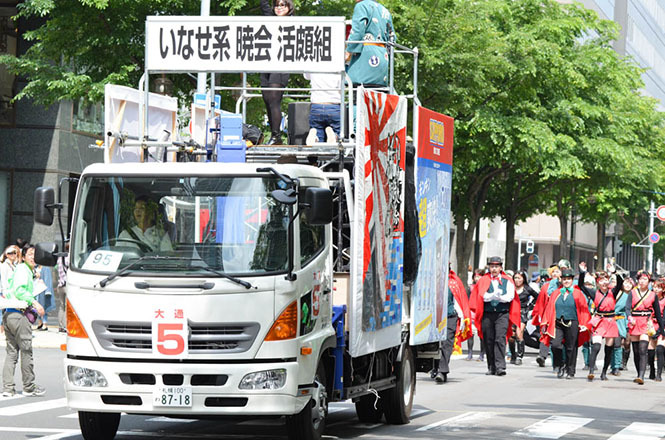 In the case of the parade, an accompanist truck (地方車) is added. 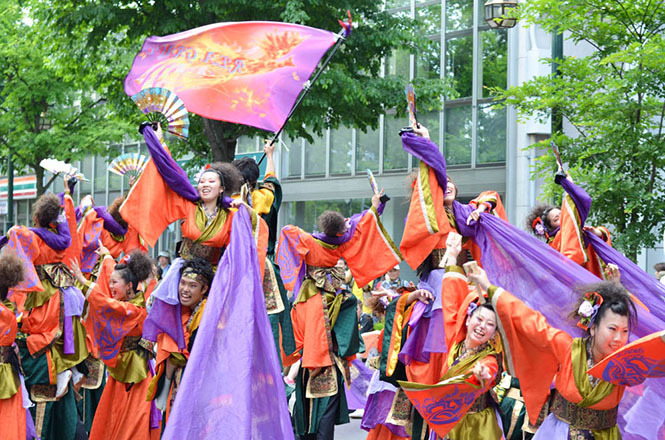 A lot of the dances are performed in a colorful manner, and I think that all the dance teams need is standing out. 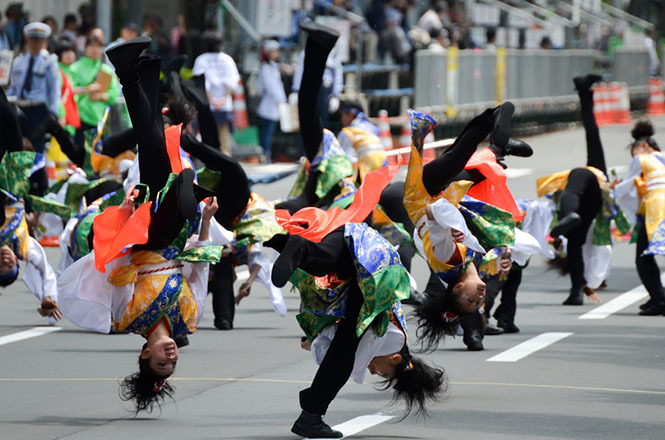 In addition, the systematic dance is required, so the action synchronized with the musice is hilight. 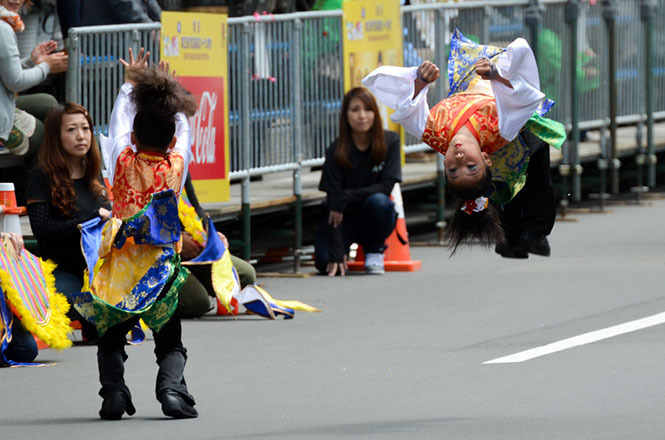 Acrobatics dance is performed, too. 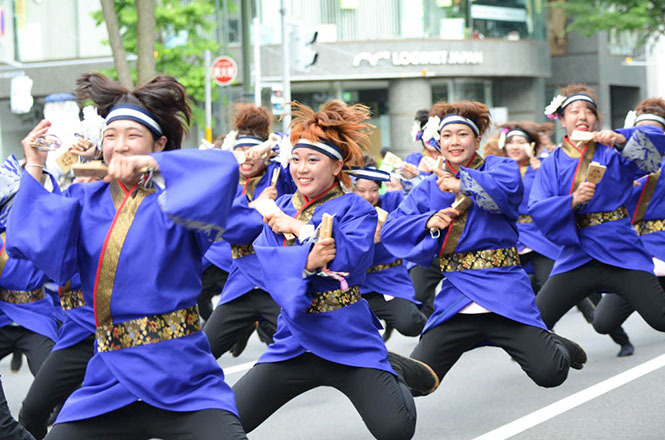 According to a rule of the Yosakoi Soran Festival, one dance team (up to 150 people) dances in perfect order. 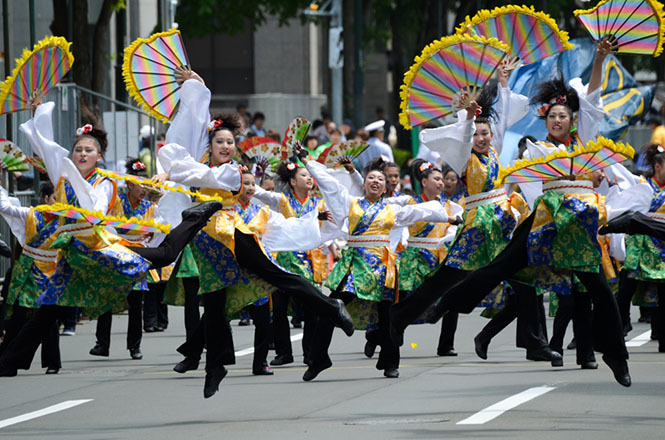 Each dance teams devise ideas to express "Impression and Spirit" of the examination standard by the dance, and aims at the championship. 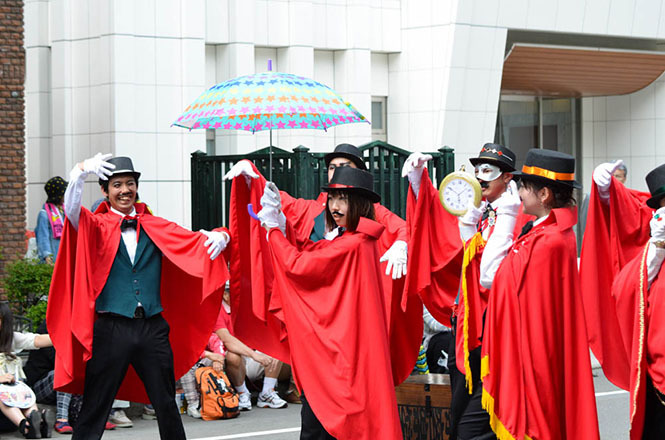 It may be said that the event is Rio's Carnival for the Japan. 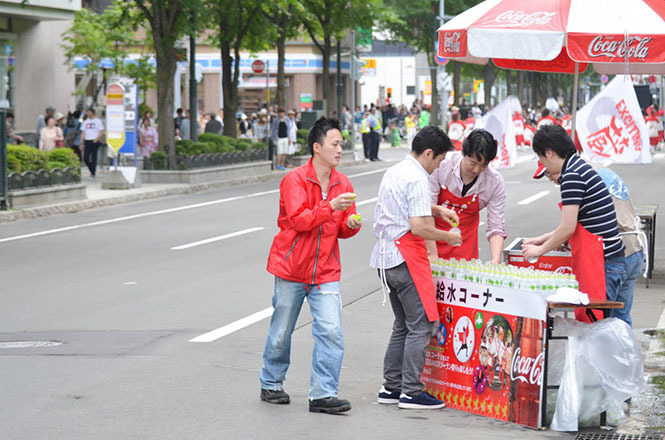 A lot of oversea people join the event, and it became an international event recently. 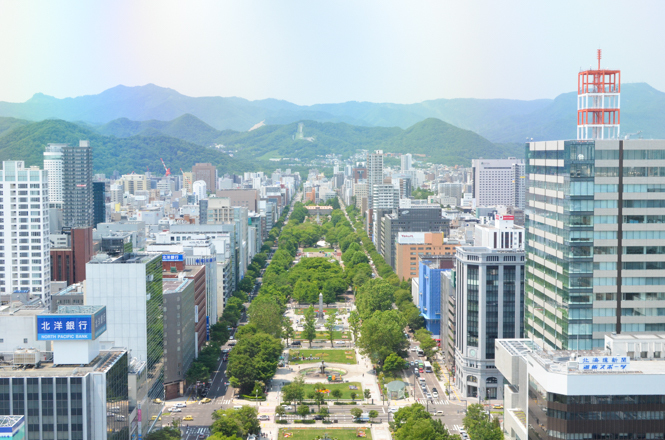 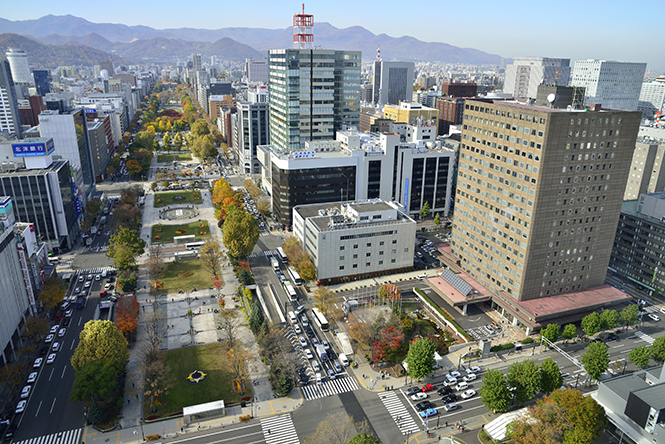 Refer to following websites for the accommodations near the Odori Park. 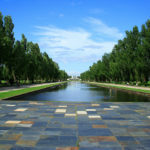 You can get information regarding online reviews and photos.